He took a dig at leaders of the Hurriyat Conference by referring to Pakistan's Shahid Khaqan Abbasi as their PM, and urging them to spell out their stand on Abbasi's statement ruling out of Kashmir. 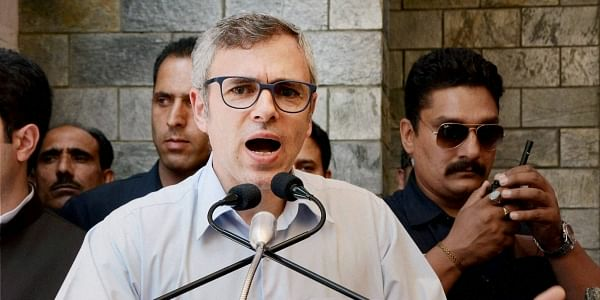 SRINAGAR; National Conference leader Omar Abdullah today took a dig at leaders of the Hurriyat Conference by referring to Pakistan's Shahid Khaqan Abbasi as their Prime Minister, and urging them to spell out their stand on Abbasi's statement ruling out an independent Kashmir. In a tweet, the former chief minister of Jammu and Kashmir said, "Here's a question for the Hurriyat leaders in light of your PM's categorical statement - what was the last 30 years of turmoil all about? Will you boycott the Pak High Commission now?". Speaking at a recent conference on the 'Future of Pakistan 2017' at the London School of Economics, Abbasi said, "The idea (of independent Kashmir) is often floated around but has no reality." "There is no support for the demand for an independent Kashmir," he claimed.